If you are looking for something unique to give, look no further. Laser Tag Gift Vouchers Glasgow offer action packed fun for all ages from 7 up. 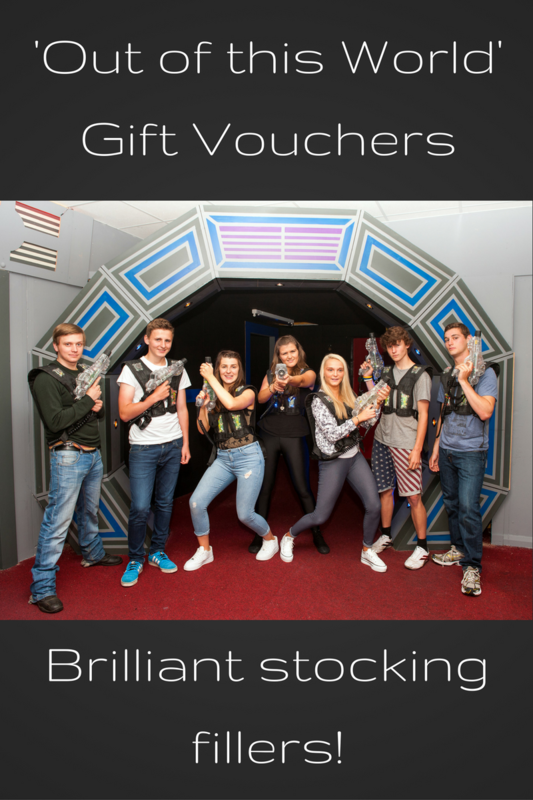 Give the gift of an amazing sci-fi adventure with Lazer Planet gift vouchers. At Lazer Planet, we can provide the unique laser tag experience that friends and families can share. Purchase a Lazer Planet gift voucher for use at the Clydebank arena for only £11.00, or a ScotKart ‘Adrenalin Activity Voucher’ which can be used for indoor karting and laser tag at any of our locations and are valid for six months. Vouchers purchased online will be emailed to you immediately (please check your junk folder if you don’t receive it). If you would prefer a hard copy gift voucher to be sent in the post, please call into reception, or call 0141 641 0222.